I chanced upon this ramen joint called 「仁」 (which I presume is read as “jin”) during a rainy day and had a pretty interesting experience. While making a choice for my order, one item that stood out was a “challenge dish” of spicy ramen with gyoza. Initially brushing it aside as Japanese-level spiciness (i.e. not spicy at all), the shopkeeper seemed to anticipate my half-formed intention to “challenge” the dish, and gesticulated in a disapproving manner. I can’t remember his exact words but it was something along the lines of “that thing is out-of-this-world crazy and so is the chef”. The shopkeeper somehow succeeded in convincing me and I ended up choosing the second spiciest dish on the menu instead. The result was me finishing a nice spicy meal of ramen but nothing that would trouble the stomach. At this point, the chef (not sure if excited or upset) looked up and said, “do you want to try some of our spiciest stuff?”. Without waiting for my answer, he took a tiny teaspoon of chilli powder (a fraction of the size of a 1 yen coin) out of a bag and emptied it on my spoon. I have a thing for spicy food and it isn’t easy to find really spicy stuff here in Japan, so I was raring to have a taste. Mixing the powder with the little bit of soup that I had left, I promptly licked up the concoction. MISTAKE. Initially, nothing out of the ordinary happened. Then, the burning sensation started in my throat and spread to my mouth and lips. This lasted for a long time. You see, I just had a taste of Jolokia chilli, once ranked the spiciest chilli in the world (would have been nice to have been informed first). Jolokia chilli rakes up a score of approximately 1,000,000 Scoville heat units, which is more than 20 times that of Tabasco sauce. The chef mentioned later that he usually puts between 5-10 gram of the powder in the spiciest dish and what I sampled was less that 1 gram. He also advises anyone who handles the bag of powder to wash their hands thoroughly lest they mistakenly rub their eyes (and end up in the hospital). Just read some of the comments of those who tried this chilli on this product listing! 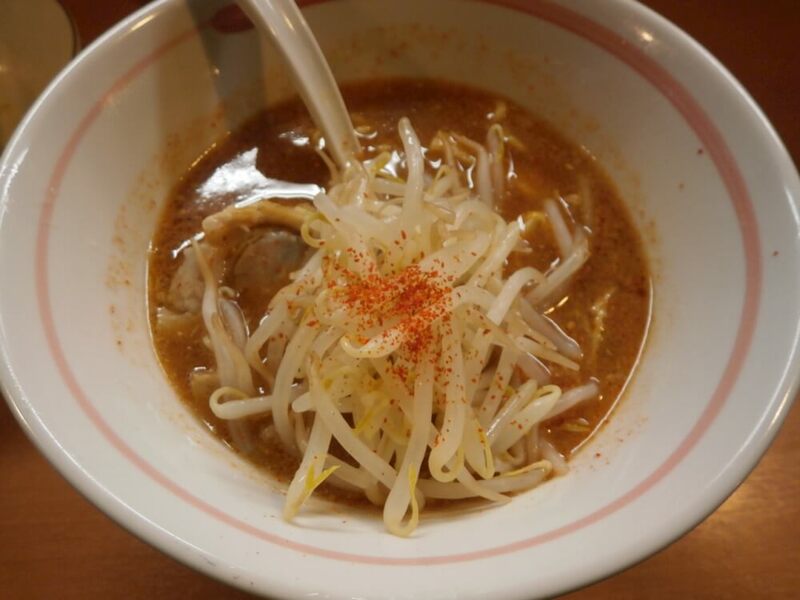 If you have a stomach for spicy stuff, are a fan of fear factor or simply just masochistic, pop by this shop near Hongo-sanchome station and insist on being served the ‘killer’ dish.